I wonder what possesses a person to write about themselves. What makes them think that their life is so worthy of the ink and pages that fill up a book until they come to the present day of their life and there they write their hopes for the future. I wonder if people suddenly wake up one day and think, yes perhaps I should write about my life, it has been very interesting so far. I was born to a quarreling couple, went to university, dropped out and then got married, divorced, married again, had a couple of kids and now here I am on this nice pine bench enjoying the sound of the sea. Because no one is going to write an autobiography where they end up poor and homeless, that’s for sure. Primarily because they would not be able to go through the logistics of finding someone willing to publish the story of their life, even though theirs is the one which may actually be worth reading. Most autobiographies in today’s day and age are written by famous people because of course, they are more likely to sell as their fans will be clamoring to get a taste of their intimate lie. Do these famous people wake up one day thinking they need to tell their story or are they suggested the idea by their agents? Let us not start debating whether these type of autobiographies are actually written by them or not! Instead, think about one thing. Out of all of these autobiographies, there are only a certain number which actually have a unique story behind them. You will have the boxer who fought against poverty and racism to become the champion of the world, you will have the activist who fought against imprisonment and violence to end the apartheid and you will have the underdog politician who battled through terrible setbacks to get to the top. Does this mean the rest are not worthy? Well not really, because what you will find is that the rest of the galaxy of autobiographies which flood the market share one thing in common: human experience. These supposedly successful people went through the same things we all go through in life as humans. We turn the pages and realise that life is the same for all of us. We are born, we encounter problems growing up, we experience issues with our family, we breathe through relationships, we desire to become successful and then we come out on the other side, washed up and beached on the end years of our life. This human experience is dramatic, captivating and interesting no matter who you pick up off the street. Every person if they so desired to tell you the story of their life, would be able to leave you in tears at the sadness and joyousness, at the highs and lows and the tears and laughs of their life. With all the talk of movie awards over the past few weeks, there is one which is an example of this shared human experience. Boyhood is quite simply an ordinary film which follows a child right from when he was young till when he is setting off into the world. It has received an emotional reaction as viewers cannot help being captivated by the journey through childhood and the teenage years that the character makes yet there are some critics who have dismissed it as a ‘gimmick film.’ Funnily enough, these are the same critics who are in support of the film ‘Birdman’ which has made the news mostly because of its cast, cinematography and use of a ‘single-shot’ rather than its actual story. You see, Boyhood is a film people are able to actually relate to; tears spring in their eyes as they watch and feel remorse over some of the actions they did in their lives. They pick up the phone and build bridges once again, they live. Human experience therefore, is what can be used to connect us all. The fact is, every person’s story is worthy of a book. I always enjoy reading other people’s stories! THANK YOU for reminding me to watch Boyhood. I saw a preview about it and it looked really good, but I could never remember the name. Anyways, sometimes people want to see how they ended up the way they did. But they all end he same. Death. I’m in an emo phase right now, okay? Haha well that is perfectly fine! I am of the firm belief that sharing and hearing other’s stories has the power to change our lives. Indeed having a blog does allow us to communicate with people we normally would never have met. Love what you posted. True life stories are worth looking at no matter who the person is. I myself decided to tell it all and even though my life experiences are not commonly talked about, I am laying it all out there anyway. If you have time come visit ShanayaNour.com. I look forward to more of your thought provoking post. Thanks 😀 will certainly drop by! 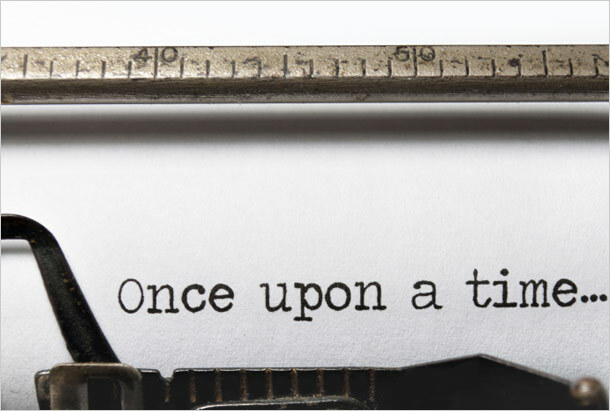 It is so true that every story is worth writing. It is the way to change the world. Once we all understand that we are not that different the world will get better. Yes, hopefully we will all realise this soon. Haha! That makes it more interesting perhaps!